I have been incorporating the novel A Child Called It into my curriculum for at least 15 years. During that time, I have developed and/or accumulated many resources that reinforce the events and themes of the novel. This unit takes me 2-3 weeks to teach, depending on the projects I choose to assign from the below list. 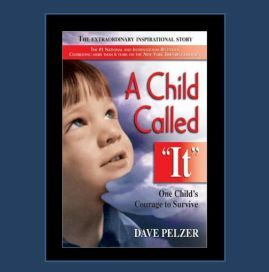 I begin the novel after I have taught my unit on child abuse. I have a classroom set of novels and assign students chapters to read by certain dates (sometimes I do read aloud to them, but most prefer to silently read). Then we discuss and complete some of the activities described below. It has been my experience that students are eager to read and discuss this book, even the students who claim to “hate” reading! To introduce the novel and get a feel for what students believe to be good parenting practices, I ask them to complete the “What Makes a Good Parent” Ranking Activity. Comprehension questions for students to answer and discuss as they read through each chapter of the novel. This is another great freebie that causes students to compare and contrast a television family of the time to Dave’s family of the same time period. This was entertaining to watch, but also provided some great insight to just how different Dave’s family was. This can be done as a journal entry or a class discussion. After students read the first few chapters, I have them create this bio-poem comparing the two faces of mother. Students have to analyze both versions of mother that are represented in the story. This is a small group activity where students are placed in one of three groups after reading Chapter 4. Each group is assigned a character: Mother, Father or Dave to analyze and discuss. I know this sounds like something for an English class, but there is a great deal of symbolism in this novel. Students use their critical thinking skills to make connections to symbols and explain the meaning of their choices in a creative presentation. Need to include writing in your curriculum? This is a free persuasive writing activity that can be utilized at the end of the novel. Read through the lyrics as you listen to the song “WIN” by Brian McKnight. Interpret each stanza set (total of 5) and explain how they apply to Dave. Be sure to include examples from the book to support your interpretation/explanation of each stanza set. Stanza responses should be no less than 5 sentences (min.) each. Type this as a Google Doc and submit via Google Classroom. Interpret and apply to Dave’s life. It’s important for students to know that child abuse still occurs. This activity encourages students to research non-fiction articles about child abuse and answer questions as they pertain to their story. Students then share as a class so they see the range and depth of abuse that is still occurring in this day and age. After reading the book, students watch the episode of Oprah and then compare and contrast Clayton’s story to Dave’s. I do this as a Collins writing. Dave can certainly be identified as a victim of Post Traumatic Stress Disorder (PTSD) as are many abuse victims. Students research PTSD and create a brochure of tips and suggestions that might benefit Dave as he recovers and moves on with his life. Students make connections to songs and events and themes that occur throughout the novel. I’ve gotten some great playlists over the years. A word of caution, make sure you stress that their selections are school appropriate! As always, if you have a great activity, assignment or project relating to this novel that you’d like to share, send it my way and I’ll add it to the list! Let’s be GREAT together!